Nice apartment close to the center. The washing machine and dryer were very welcome. Jeremy was an amazing host, enjoyed everything about this place. Everything was perfect. Thanks to Greta as well, very sweet lady. Thanks guys for an awesome place. We were so pleased with South Seas! The location was perfect - tucked away enough to be private and quiet, but close enough to the main areas to be accessible. We were welcomed so kindly and made to feel at home in the space which was beautiful! The beds were so comfortable, and you have everything you need at hand. What a great place - we would stay again next time we visit for sure!! The apartment was clean, homely and well fitted. Welcome bottle of wine went down very well. Guide book and assistance from Jeremy was helpful and friendly. Situated close to the village centre. Security was good. Great location Very private Very Clean Well maintained Very friendly staff Owner truly goes the extra mile to make you feel at home. Would definitely visit again! Location, facilities, extras, Smart TV, security, space, secure parking and amenities were perfect. Sleeping arrangements, linen, and furniture was perfect. Making a plan for us to extend our stay was really appreciated. Cleaning on a daily basis - bonus. Everything. Close to center, still quiet. Jeremy and his team have thought of everything you need. Apartment in the center of the town, in a closed area with covered Parking for the car. Around enough restaurants with delicious food and reasonable prices. There is also an equipped kitchen. Absolute cleanliness inside the apartment and outside. In the yard there is a swimming pool, barbecue facilities. Lock in a great price for The South Sea's Safari – rated 9.5 by recent guests! Each of the 2-bedroom apartments has a fully-equipped kitchen, including a washing machine and a tumble dryer. They each have a lounge with a flat-screen TV and a bathroom with a shower. One of the apartments also has a balcony. Towels and bed linen are offered in this self-catering accommodations and a daily maid service is provided every morning. Restaurants and shops are within walking distance. Crocodile Center St Lucia is within 5 minutes drive and iSimangaliso Wetland Park is only 2.5 mi away. You can play tennis at the property, and the area is popular for golfing and horse riding. St Lucia Kayak Safaris Office is 650 feet from Unit 8 Uitspan, while Heritage Tours & Safaris is 1,000 feet away. A number of activities are offered in the area, such as snorkeling, diving and cycling. This property also has one of the top-rated locations in St Lucia! Guests are happier about it compared to other properties in the area. 뀐 Located in the top-rated area in St Lucia, this property has an excellent location score of 9.6! When would you like to stay at The South Sea's Safari? This apartment has a lounge, balcony and a fully equipped kitchen. One of the bedrooms has 2 single beds that can be converted to a king bed, while the other bedroom has 2 set of bunk beds. There is a bathroom with a shower. This apartment has a lounge, a fully equipped kitchen and bathroom with a shower. It has an outside BBQ area downstairs. The main bedroom has a double bed, while the second bedroom has 1 single bed and 1 bunk bed. House Rules The South Sea's Safari takes special requests – add in the next step! Please inform The South Sea's Safari of your expected arrival time in advance. You can use the Special Requests box when booking, or contact the property directly using the contact details in your confirmation. All good. If I HAVE to mention something, the water in the shower could be turned a bit warmer, it's only luke warm. Network could be better, TV went off signal often. Great location - walking distance to all amenities and the jetty. Well equipped apartment, clean. Helpful and friendly owner. We liked the location, a few minutes away from restaurant and shops! outside braai area was not private enough. It was central and had exactly what we wanted in self catering. Nothing to complain about. The owner even provides tea, coffee and sugar which is unheard of for a self catering place. 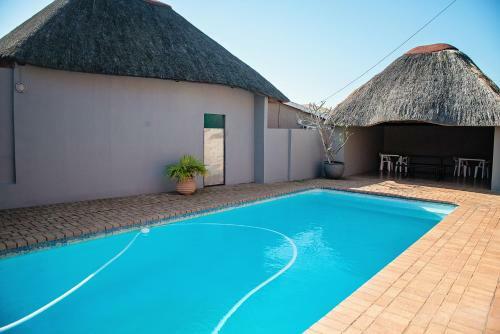 Unit is located in an excellent place to travel to Cape Vidal and to go on the Estuary. The unit itself was very neat with all the facilities. It even had a Samsung Smart TV. I enjoyed the swimming pool. The only thing we did not find was the pool that was shown on the pictures. But as it started raining that night we did not really miss it. South Sea's Safari is an apartment that offers anything you need. It is spacious, has a great kitchen, comfortable beds, very clean. The staff was very friendly. The communication with the host was very attentive! We've loved the whole apartment. The possibility to cook and braai is a plus. The noise of the ocean in the background in the bedroom is very relaxing.